I was thinking perhaps giving Minotaurs access to GM of Spirit/Body/Mind would be more thematically correct? The Axe you mention can be buffed, sure. Same with plate & some fight-related skills. I've never used a Knight in MM8. What's so awesome about him? I rolled vampire+elf instead as the melee fighter doing just fine. Daggers are cool. But when I played with one of the other difficulty mods from around here they became irrelevant anyway with Necromancer and Dragon being the only valid characters due to the powerful AoE and Cleric due to her buffs. The elf was a merchant and cast the wizard eye which was more than the vampire could do tbh The knight would be even more useless. Wasn't rock blast present in the Plane of Earth always? I seem to recall the location being quite hasslesome due to major AoE damage that was really difficult to get around with with monsters sitting on my face from the start. I think Cleric can get master body building as they're mostly buffers anyway. I could also look into increasing the HP gains for the Lich a little. I mean yes, they should be squishy by design, but there is a point at which it might get ridiculous. Giving them a little more fighting chance could be a good idea, especially since the promotion quests are no longer stupidly easy. What's the name of the vampire in Ravenshore? Do you remember? I could use lightning, but I was going for cracks indeed Inanimate lightning doesn't sound so cool! Nosferatu can now get M in bow. Nosferatus can now get M merchant. Nosferatus can now get E in dark magic. Nosferatus can get GM of perception. Nosferatus can now get E of learning. Nosferatus can now get E in armsmaster. Minotaur Lords can now get M in sword. Minotaurs can now get E of self magics. Minotaur Lords can get GM of self magics. Minotaur Lords can now get M of learning. Patriarchs can now get M in spear. Patriarchs can now get GM of elemental magics. War Trolls can achieve GM of armsmaster. War Trolls can get GM in repair. Clerics can only have E merchant. Clerics can get E in body building. Knights can only get M in repair. Wyrms can only get M of perception. Lol. I just noticed my rank is Super Peasant. Can't unsee the cape blowing in the wind as I stand with my pitchfork on the cliff. Last edited by Anonymous on Jul 16 2016, 10:43, edited 1 time in total. Knights do an enormous amount of damage. 250 per attack with minimum(30) recovery time pretty early. Especially with dual wielding artifacts they just deal a ridiculous amount of single target damage (remember you can use the seer to recover Ebonest!). Their value drops a ton once you start cranking dark, but remember your lich still has a ton of skills to invest in and even level 10 won't really mow down rooms, especially until you have meditation cranked enough to cast more than a few times. My knight helped me immensely me until I had cleared the Regnan Fleet. It was only once I started going to the Planes that the Lich began catching up, and even then anything that gets into melee won't die from virtually anything but physical damage or Shrapmetal. Also by contrast he almost never dies while the Lich drops every couple attacks. Karanya Memoria is the name of the Vampire. She is in the first house on the left when you get off the boat. When you add spell ranks, you need to increase the meditation skill to match or they won't end up getting used (alternatively the easier way may just be increase the spell points factor on leveling). Yes Rock Blast was in the Plane of Earth before, but the effect of increasing the spawn makes it much different. You can heal through 1 or 2 pretty easily. Healing through 10 is basically impossible so it requires some maneuvering. This isn't a bug, but it's definitely noticeable. When I played with increased spawns whenever things got into melee I was using Soul Drinker. It both kept my Lich up and served as a great AoE. I find that with spawns increased so severely, single target damage becomes way less efficient. I guess that's also why the Rock Blasts weren't that huge of a problem for me in the Plane of Earth? I'm not sure, I can't remember so well anymore, it's been a year or so ago. Fair point about the spell points factor. I'll look into it as well. - I wonder if perhaps some monsters could use additional resistances to promote a more varied play style? - going deeper into the classes, I wonder perhaps recreating some of them would make more sense? I mean, there's nothing like a Druid around and some of the classes have no identity whatsoever. Say, Knight vs Troll vs Minotaur. Now Minotaurs are more akin to Paladins, just a bit more cleric-sufficient, so there's that. But what do trolls have to differentiate them from Knights really? And what could be the reason to pick a Nosferatu over an Elf? I wouldn't want to go too far away from the race-lore, because that could get silly, but maybe something fun could be done here? I'll munch on it, feel free to throw around ideas. Last edited by Anonymous on Jul 16 2016, 17:16, edited 1 time in total. Souldrinker has a horrible recovery time, so it never dealt enough damage for me to act as anything other than a desperation heal. To each his own. The major difference between Knights and Trolls will come down to plate armor and mace paralyze. Balance looks MUCH better now. If you are concerned about Vampires then you might not know that at release Vampires could learn spirit and mind, but not body (look at the Vampire hirelings, none of them even have basic body; it was added very quickly afterward). I might add those two back but absolutely not body. Karanya isn't an immediate pickup, I think she requires the blackmail quest finished. Trolls were never a major issue for me, I just considered it an oversight. For dragons, reduce learning to master. Their overpowered attacks (especially flame blast) are massive, but that combined with lich levels of experience gain is what makes them so powerful late. Their autoattacks are very slow. Flame Blast has a major problem, it does fire damage. If you want to make it harder on dragons, dump a bunch of fire elementals/salamanders/efreeti in annoying places. 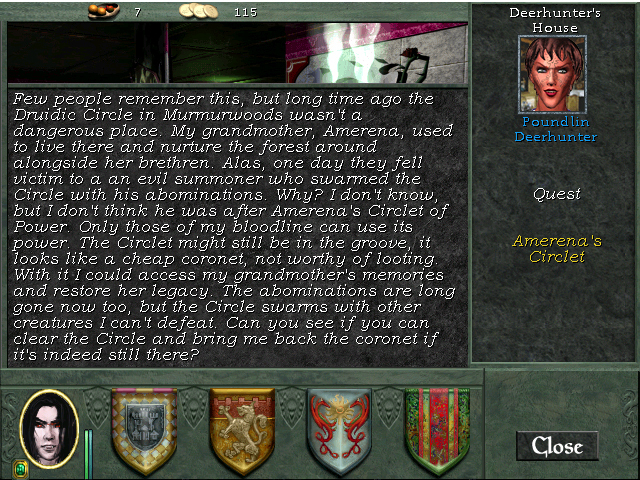 The ones in the Tower of Khel (for the Necro promotion) were super annoying with dragons. Looking more and more like a great mod! The thing with dragons is though, many players who seek additional difficulty simply don't hire them. I'll nerf the learning, but I don't think more salamanders will be in order Monster diversity could suffer from it. All right, I've updated and uploaded the new files to the first post. I hope I didn't upload some outdated ones I never trust myself with those things. Last edited by Anonymous on Jul 21 2016, 0:40, edited 1 time in total. You weren't kidding about those troll druids. Just from experience I can say not having master sword for the troll would be annoying simply due to the lack of 2h maces and abundance of sword artifacts. I can see it either way considering all the magic skills trolls got as a result, but would lean toward giving master because you decided not to give armsmaster GM. I can't overstate how powerful armsmaster is when you can enchant 25 skill. I think your disarm row alignment is messed up and you should have dark elf E, Patriarch E, Vampire M, Nosferatu G.
Disarm is indeed all messed up, good catch Fixed & reuploaded. The only thing Knights have going for them is the Armsmaster. They should be significantly better fighters than all others, especially now that Trolls received much more utility and have an improved survivability. Like I said, I never used a Knight and was fine even with difficulty mods. I think it's more of a matter of taste here - if you like to have the melee hard-hitter you will always choose a Knight And now Troll has other things going for it so it's not a competition between the two that Knight is simply stomping. Ok that makes sense. Shield skill is pretty weak, but you are giving a ton of defense with GM regeneration, leather, chain, and shield GM and building the troll as a mostly defensive character that has master magic skills. If that's the case, then even master Armsmaster might be a bit much. I personally prefer Leather GM to Chain GM in MM8, but you leave it to the player to pick. Why do you prefer leather? The elemental resistances? I don't remember what chain gives though, shield effect? In that case leather could indeed be better, but if that's the case, I could buff armor stat on chains perhaps? Also, I derped around and remade one vampire. I won't include him in the mod file, because I accidentally liked the result that came from putting a bunch of remake-layers on top of one another in the 'temporary' file and I decided to go with that particular mess, it looked kinda feral Which means the portrait looks a bit too different from the normal MM8 style. On top of that I didn't want to spend too much time on it so the more turned frames are a bit wonky. Chain makes physical damage do 2/3. Leather gives resistances. Unlike in the other MM games, an enormous amount of time is spent in places where all damage is elemental, and they actually use all four elements. There also aren't anything like Behemoths which would punish you for lapsing on physical reduction unless you do something stupid like getting in melee of a Great Wyrm. Balance is always tricky . If I felt the game was balanced correctly by NWC, I wouldn't have come up with so many changes. Expert to master isn't a huge change either way. It's not the damage that makes armsmaster powerful, its the recovery time reduction (and the effect of doubling that reduction at GM). You could avoid getting in meleee with Behemoths too, no? They liked to get stuck in every hallway I only ever had issues with them in the Pit with hugely increased spawns. As far as recovery goes, at least there are no Blasters in MM8 Those always meant the end of the game in MM6-7. My tiny brain finally wrapped itself around the MM Level Editor and I can add monster spawns now! Last edited by Anonymous on Jul 21 2016, 0:45, edited 1 time in total. I've finished revamping all of the outside world areas. First post updated. If anyone plays it and finishes it successfully, it'd be great if you left a note here saying it's okay/what's not okay. I don't know when I'll have the time to play the game again, so sadly I cannot be 100% certain it will all go smoothly. Still. It was a fun thing to do! EDIT: Cleaned up in the first post and moved most screenshots to 1st and 2nd one so that it's all neat and sensible. Ciao. is there any way you can make your mod one file? also, any faster hosts for dl? this one downloads at about 30 kb/s.... looking forward to trying out this mod though! I'm honestly green when it comes to hosting, if you suggest something better I can reupload the files np. 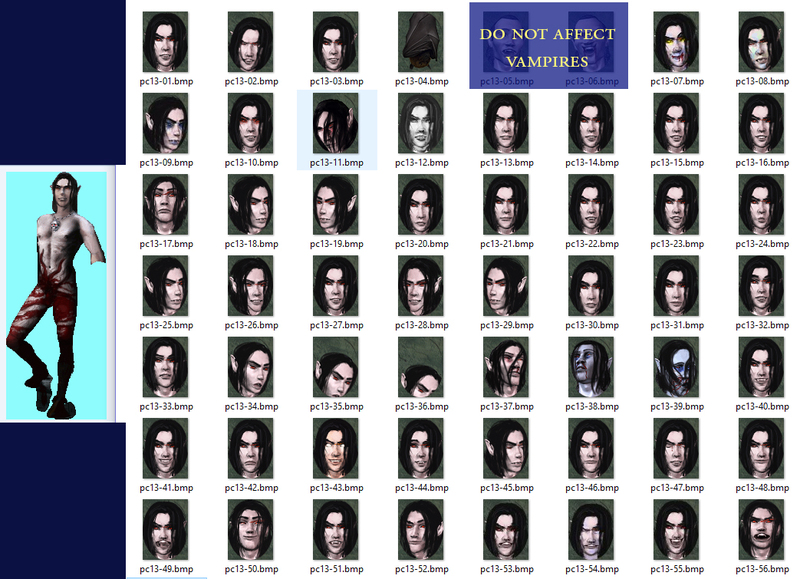 EDIT: Okay, I can reupload the files from what I got in my folder, but they include every change, so if you'd like to use the files with smaller difficulty/no redone portraits/no redone Ravenshore (I did not plan to upload RS at all since it's unfinished and has experimental windows) the links here would be to go-to. If you just want the whole shebang I'll pack it up and put wherever you recommend. The past few days I've played through DWI (not the temple, no time still) with a team of 5 with zeroed skills and stats set to 10 in the editor as I tend to start all MM games. Doable, but needs a little creativity since I used the 2nd, more cluttered file. The important thing was - no crashes or anomalies happened whatsoever, traveling between locations works all fine for me. I hope it means everything else will be A-Okay too. cool, now i have the game installed with most of the components, all but the harder escaton palace, and quest. Units are comming up all static looking, most of the pirates and some of the lizardmen, instead of the normal sprites.